Is there any paperwork or document for the mechanical systems of 55 Foreht Cres, Aurora, Ontario? I need more information about the property at 55 Foreht Cres, Aurora, Ontario. How ist the neighborhood, location and nearby amenities for 55 Foreht Cres, Aurora, Ontario? I have questions about the roof, foundation, insulations and mechanical issues of 55 Foreht Cres, Aurora, Ontario? I need more information about property details. What's wrong with this house? Is this a short sale? Is there any maintenance for 55 Foreht Cres, Aurora, Ontario? What is this property worth in today's market? What are "closing costs", and how much? What steps should I take when looking for a home loan? What price home can I afford? Is my credit good enough to buy this house? What are the best mortgage options for me? How flexible is the seller on the asking price? 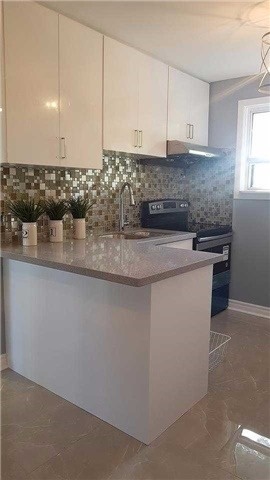 How low can I consider offering for 55 Foreht Cres, Aurora, Ontario? Newly Reno Bungalow At Private Lot In High Demand Neighborhood. Steps To Schools & Amenities. Aurora Hs School Zone (Ranked 42/740), New Flooring, New Appliances (S/S Stove, Rangehood, Dishwasher, Fridge, Full Size Laundry), Perfect Family Home! Bright And Sunny Living Room, Large Front Porch, Main Floor Only. Move In Ready! Tenants Pay Cable/ Internet, Tenant Insurance And 65% Of Total Utilities (Hydro, Water, Gas), No Pets & Non Smokers. No Need To Share, Use Of Stove, Rangehood, Dishwasher, Fridge, Laundry, Elfs, All Existing Window Coverings, Garage W/ Extra Storage Space, 2 Extra Parking Spaces On Driveway, Use Of Pool Is Not Included.